Kvinna till Kvinna has supported women’s rights in Palestine since 2001. Palestinian women are gravely affected by the Israeli occupation and the repressive political environment. Many have lost their homes, face direct military violence or have been detained without trial. Domestic abuse and poverty have both been on the rise. In the face of this, Palestinian women keep organising themselves to demand both respect for women’s rights and an end to the Israeli occupation. Women’s daily lives in Palestine are affected by two complex and interrelated factors: the occupation and society’s oppression of women. Israel’s policy of occupation has caused territorial and political fragmentation; imposed mobility restrictions and broken up Palestinian territory in three separate areas: the West Bank, East Jerusalem and Gaza. Gaza is entirely isolated from the rest of the world by an Israeli blockade. Its humanitarian situation is acute: there is a severe lack of basic commodities, electricity and medicine. As a consequence, the economy has collapsed, poverty and unemployment rates have risen, and domestic violence and abuse have become more prevalent. Palestine’s fragmented legal framework discriminates against women by limiting their access to legal protection. It also restricts women’s rights to equal pay for equal work, maternity leave and social protection. Politically, women have been largely excluded from participating in decision-making. Space for change is limited because Palestinian democracy is paralysed. Kvinna till Kvinna supports local organisations that struggle to advance women’s rights in spite of this limited space. 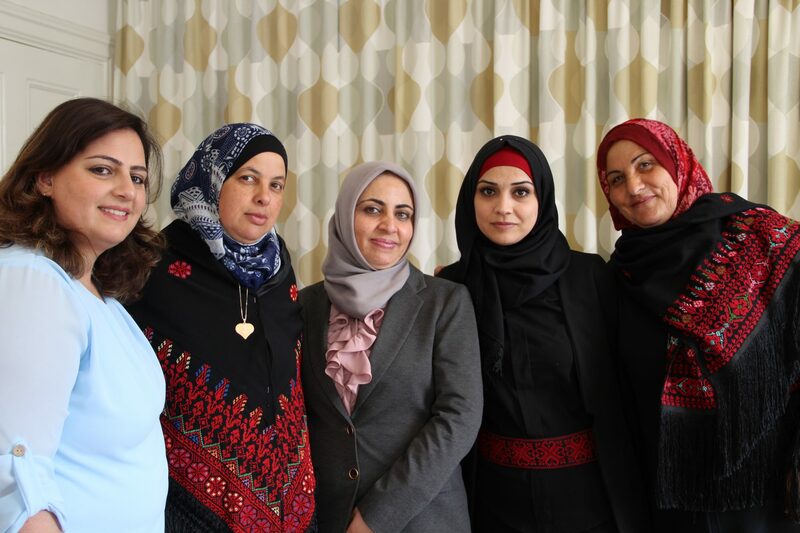 Our work in Palestine is conducted from our office in Jerusalem, from which we support both Palestinian and Israeli women’s rights organisations. Al-Muntada Coalition to Encounter Gender Based Violence. Tahani Shahatit is a young woman from Al-Majd village in Hebron. She decided to enter politics after having been a youth activist leader. For two years, Tahani honed her skills as a political candidate through the activities of our partner, the Palestinian Centre for Peace and Democracy. Along the way, she had to overcame various obstacles. In 2017, Tahani’s hard work was rewarded: she won the local elections!